It’s that time of year, when we start looking to new life after hiding away for the winter…the snowdrops and crocuses are popping up all over the place, little lambs will soon be a frolicking and a skipping through the fields and the evenings just get longer and longer. Spring is my very favourite time of the year. It’s when I look ahead, start new projects, dust off the gloom and cold of winter and Salute the Sun (there I go again with my yoga-obsession!). 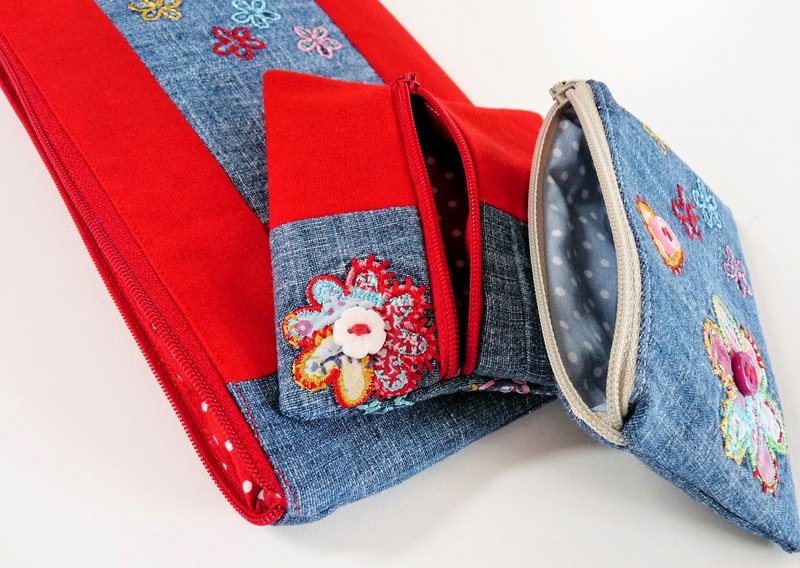 So with this in mind, I thought I’d write a bit about one of the more fun little creative pastimes that I like to indulge in…bringing new life to old things – especially textiles. 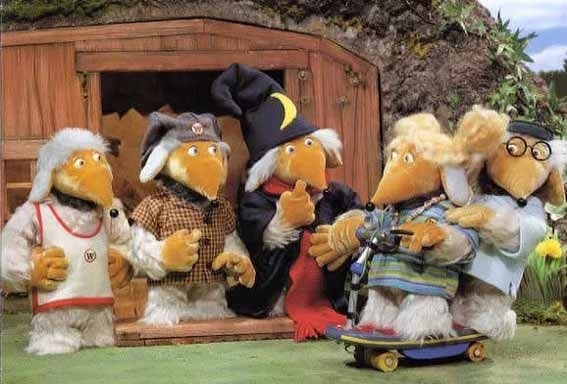 It must be something to do with a childhood spent watching those post-war upcycling and recycling pioneers from Wimbledon Common: The Wombles. Often outgrown or now unloved, we all have something that languishes in the back of a cupboard or bottom of a drawer…sad and sorry…It was once the star attraction…but now there it sits – feeling old and thinking it’s life is over; that it’s resigned to a future in the dark..but NO!..what if we take these once-loved items, throw a bit of magic in their direction and give them a new, exciting future? 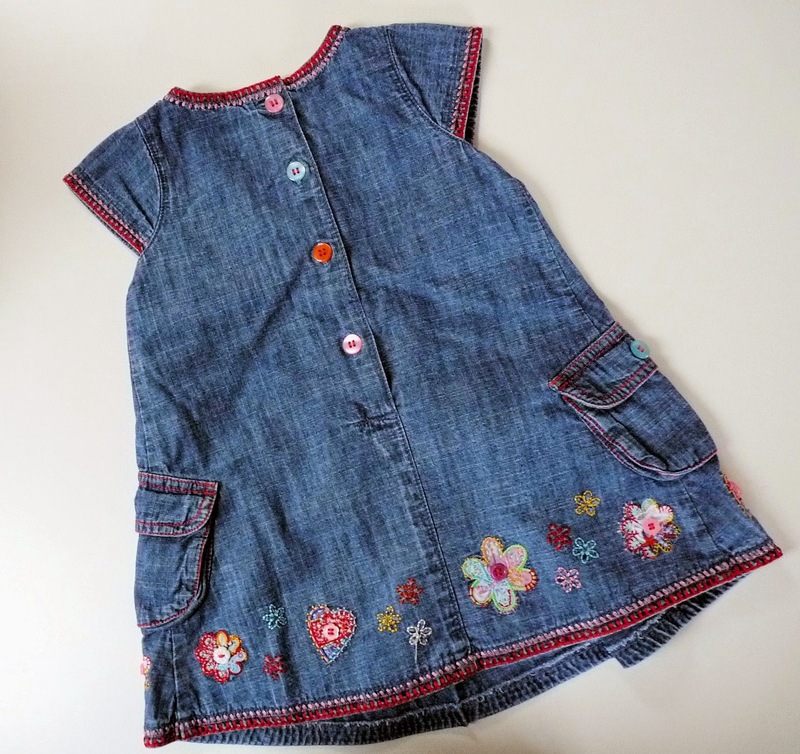 I think this is an especially lovely thing to do with those little children’s clothes…the favourite pieces…the special party dress…the t-shirt worn on a first holiday…the items that have a sentimental attachment…a story behind them or just remind you of the little one(s) that are growing up way too fast. So here’s a quick look a little Upcycling Project I undertook recently. 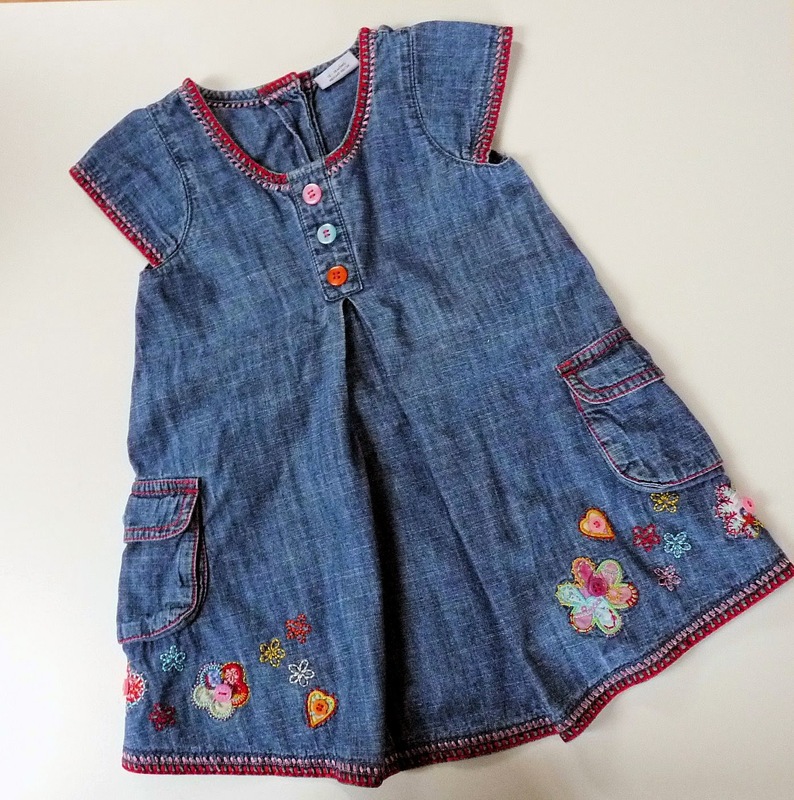 Taking one little much-loved but out-grown embroidered chambray dress and turning it into something functional and pretty – to be used and admired again. 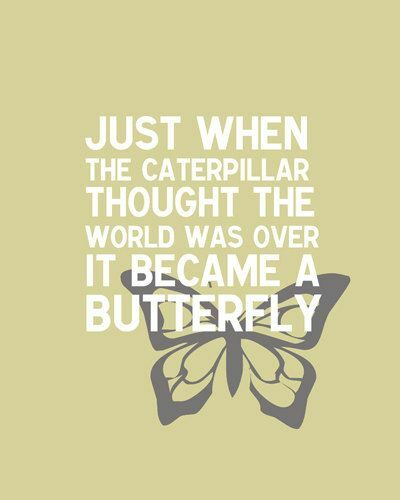 The Caterpillar becomes a Butterfly. Paul Firbank and Lizzie Gosling at The Rag & Bone Man, who transform vintage machinery and modern scrap into bespoke lighting, furniture and accessories. 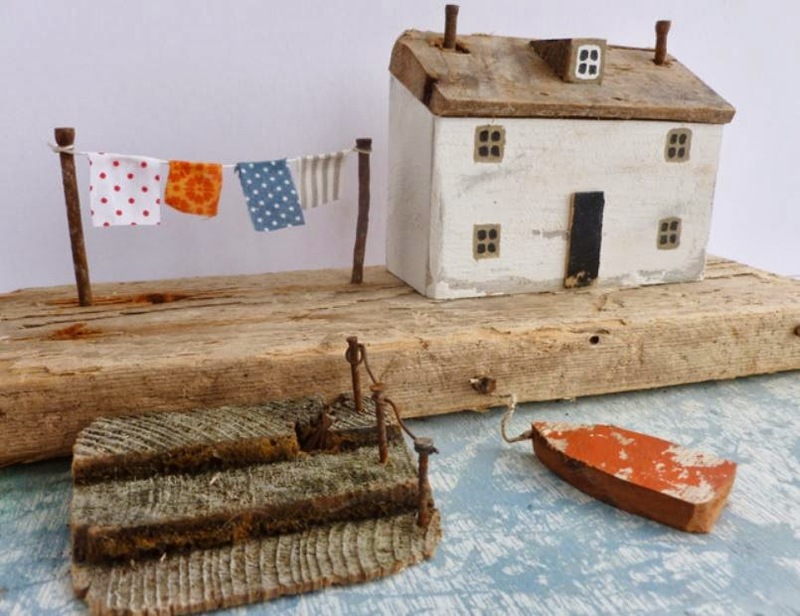 Then there’s Kirsty Elson, who takes washed-up driftwood and other bits & pieces found at the beach near her home in Cornwall and produces the most intricate little houses and other models. 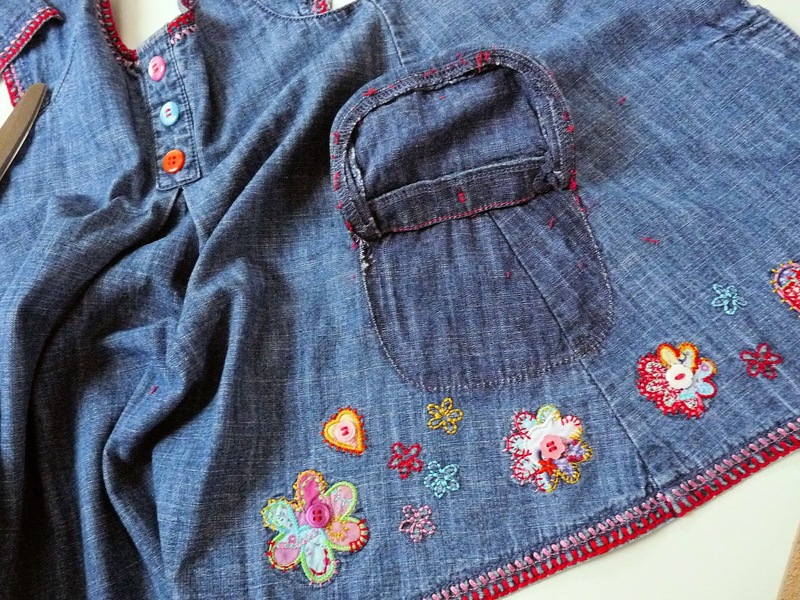 Leamington Spa-based, Rachel David – Textile Anarchist – works her magic on vintage fabrics. 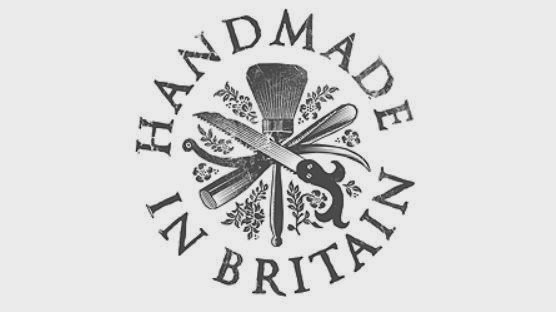 making them into new clothing and accessories, and finally the family team at Ruby Rhino up-cycle vintage furniture and can teach you how to, too at their Staffordshire workshops. 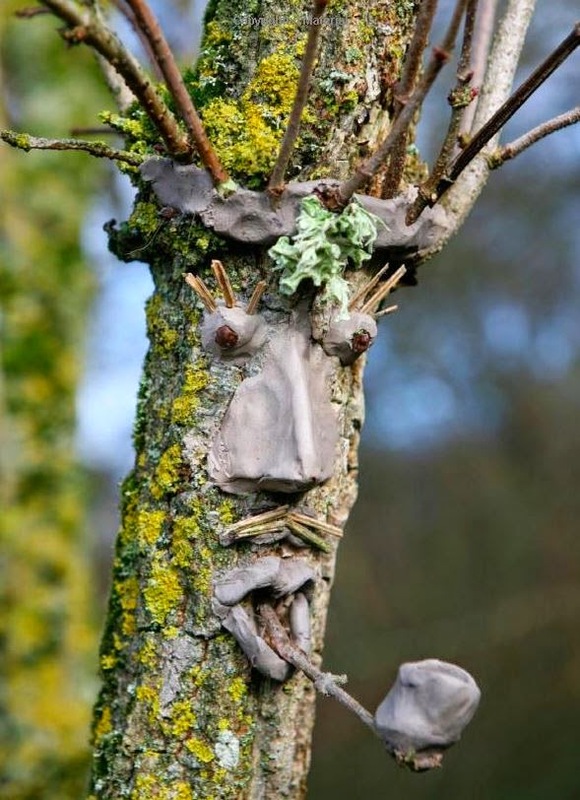 These are just a (very) few of the UK’s up-cycling experts but there are many many more artists out there doing amazing things with previously unwanted ‘rubbish’. So, next time you’re about to reluctantly chuck something you once loved, into the bin or take it to the tip…have a good long look at it….maybe it might just have the potential to be a Butterfly too? Off skiing this half term…or maybe somewhere hot?? Nah, me neither. Instead we’ll be ‘enjoying’ the arse-end of winter at home. The February half term is, I think, the most challenging of the school holidays.. the ideal would be either SNOW…lots of proper, crunchy, thick, white snow that you can turn into snowmen and sledge down with wild abandon (until the snow gets down your wellies, makes your feet freezing cold AND wet and you’ve still got the walk home to do!) OR the early arrival of Spring with a week of mild, sunny days to enjoy. BUT the reality, in the UK at least, is cold….grey…rain. So, in the first part of my new series on ideas to get children creating and imaginations flowing, here’s some inexpensive ideas for those chilly February days. DISCLAIMER ALERT – None of these tutorials or ideas are actually mine…I’ve just done the trawling around on t’internet so you don’t have to! 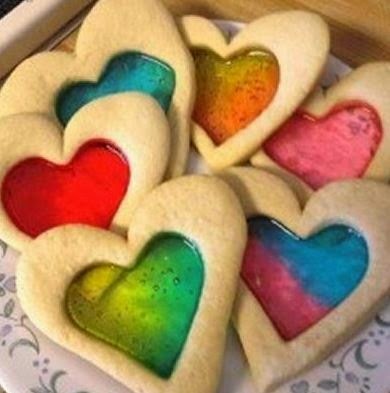 These Stained Glass Heart Cookies are a pretty easy bake from the Good Food Channel…and if you or your children are a little bit artistic you can probably get away without a heart cutter and just cut the heart shape with a knife…obviously ensuring artistic child doesn’t stab themselves or you or the dog or cat or anything else with the knife. For something that doesn’t involve sugar, chocolate and icing sugar mess (that stuff gets everywhere); what about some themed loom banding…? Are we sick of this craze yet? I’m not sure. It only lasted about 10 days in our household but when the loom band box is rediscovered under a pile of pictures, another creation is usually quickly produced, so maybe there’s some life left in these irritating little rubber bands. I quite like these Loom Band Heart Charm from the people at Loom Love, or these Valentine-themed loom band bracelets from Style Me Pretty. …or is that just in this house? Please say it isn’t so. I reckon a good hour can be taken up with the joy that is making and topping pancakes. Make the whole thing an event….get some toppings in bowls and let the children make their own (possibly inedible, very likely messy) pancakes. For some ideas of toppings beyond maple syrup or lemon and sugar, try BBC Good Food for starters. Or just go crazy in the supermarket and buy all the cadbury’s pouches of nibbles and bites and sugary syrups and toppings that money can buy. 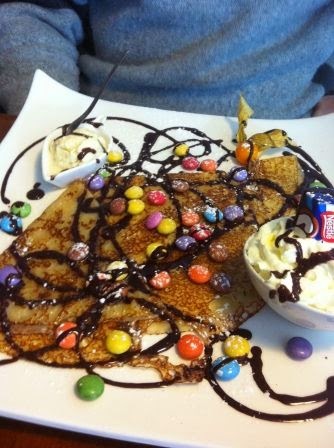 …and then once everyone is feeling sick from way too many pancakes and blood sugar levels are through the roof, send them outside with the dregs of the pancakes to have some flippin’ good fun with an old frying pan, whilst you remove batter from your hair and toffee sauce from the dog’s ears. As the saying goes, ‘there is no bad weather, only bad clothes’…so wrap up warm, get the waterproofs on…make like a good Boy Scout or Girl Guide: be prepared and get outside. 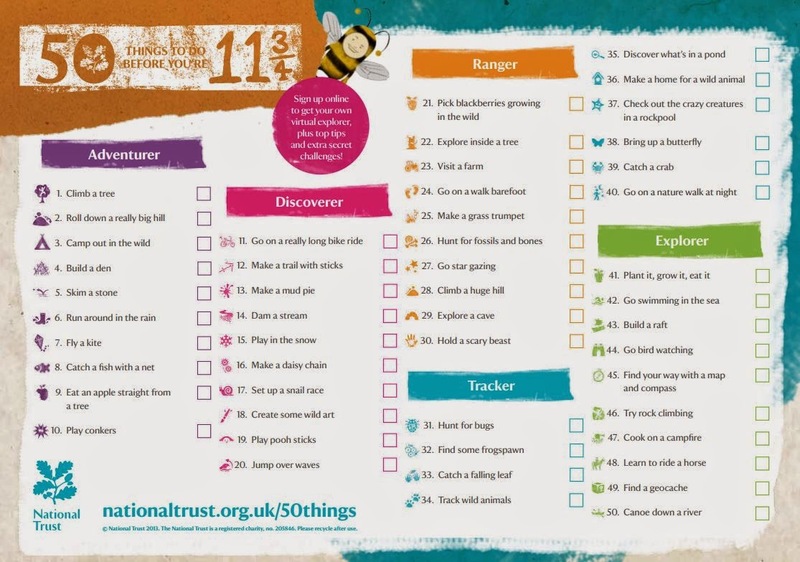 The National Trust’s ’50 things to do before you’re 11 3/4′, is a great place to get inspired and motivated. Children love a list, so stick it on a wall, work through it together and go and have some creative adventures (although if you are in the UK, I’d advise leaving #42 until it’s a bit warmer!). Over the school holidays, many National Trust Properties run (free) events that compliment the programme, so it’s worth checking out what’s going on at a property near you. If you haven’t tried Geocaching yet, it’s a brilliant way of turning what otherwise might be a boring walk into an outside treasure hunt. We spent HOURS in the fresh air over Christmas trying to locate, find and record caches on our dog walks….and once you get to grips with it, you can even get creative and start making and hiding your own for others to hunt down. (Again, be under no illusion that we’ve got round to doing this yet – although we did have some fun thinking up what we might call them, having completed the local ‘Wacky Races’ series). If we are lucky enough to get some of that snow I was talking about and it sticks around long enough to get bored of sledging (bored of sledging? NEVER!) here’s some ideas from the people at Red Ted Art, (which by the way, is a great resource for creative ideas for children) for things to do with snow and ice. However, given that this amount of snow is unlikely, here’s some crafty things that can be made from treasures foraged in the back garden or a countryside walk from The Artful Parent Blog. My favourite is the crayon rock which I might have to have a go at…..and don’t forget The Stick Book, which I’ve mentioned before. 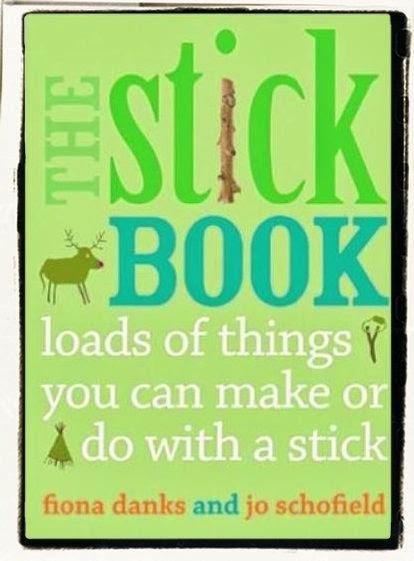 It’s packed full of creative things you can make and do with a humble stick (or pile of). Right, so that’s all the good intentions for quality, creative family time at home this half term….but let’s just have some hot chocolate, sit on the sofa and watch Despicable Me 2 first…..
Well Hello there! I’m back – it’s me – world’s worst blogger. I could make some pathetic excuses about how busy I’ve been…or perhaps it’s just that I haven’t been drunk enough of late to write…! The truth is, I’ve lacked motivation or inspiration to write anything of late…and reading other people’s blogs doesn’t help…it just breeds self-doubt and a feeling of inadequacy. How does one find the time to write (interesting) content on such a regular basis? By not watching The Great British Bake Off of an evening, looking at Facebook a few (hundred) times a day, or snoozing in bed until the very last minute, rather than getting up 30 minutes earlier to be productive. THAT’S how! Enough of the self-criticism though. I’ve managed to remind myself that I started this blog for Me – to provide a focus and record for my plans, achievements and motivation. So, I’ve had a few stern words with myself, shall pull up my (fluffy winter) socks, pull my finger out, & just get on with it. 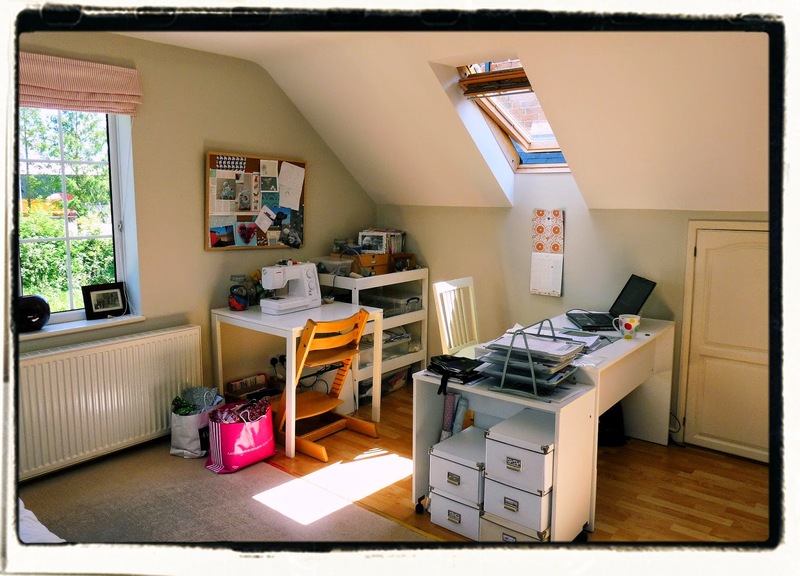 First up, I’m going to make a few changes (again) as I figure a blog should never be static..it should evolve just as a person does..
It’s been a busy few months at Binkle & Bungo HQ…. 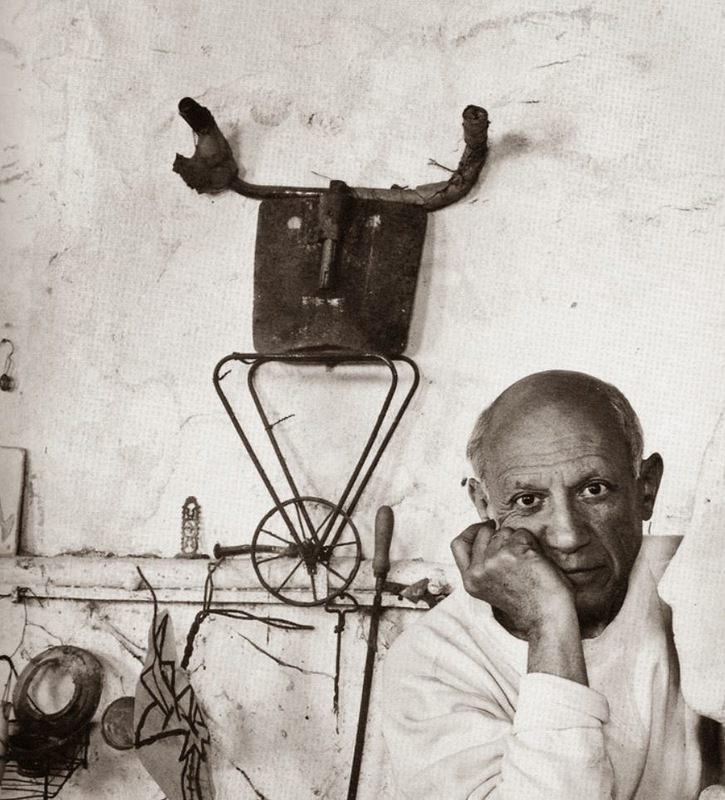 As much as I want to believe the words of Picasso, if this recent article in the Guardian Newspaper: ‘End of the creation story? 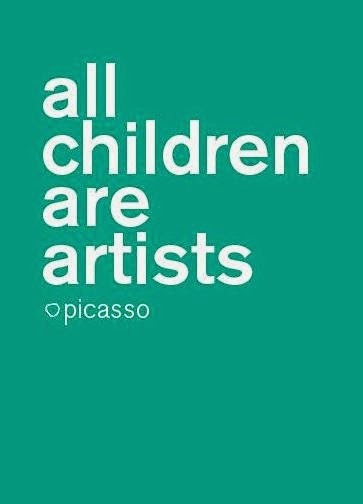 Design and craft subjects decline in schools’, is anything to go by, forget about being a creative adult, even our children will struggle to be artists and will grow up ignorant of the creative arts. This makes me sad. Whilst I obviously appreciate the need for education to focus on academic subjects in order to get strong foundations in place, our children still need a diversity of learning throughout their time at school. There must be a balance if we are to allow children to discover their interests and talents – in whatever field they may lie. I for one know that my time at school would have been far less enjoyable had I not had the chance to take courses in textiles and design technology…I mean, ‘Come On!’ Who didn’t get a buzz from the achievement of making a knife rack in woodwork?!!. For me these were the lessons that offset my boredom in learning about the Periodic Table or Chaucer and his Canterbury Tales. I could put up with the subjects that didn’t interest me because round the corner there was something that would. 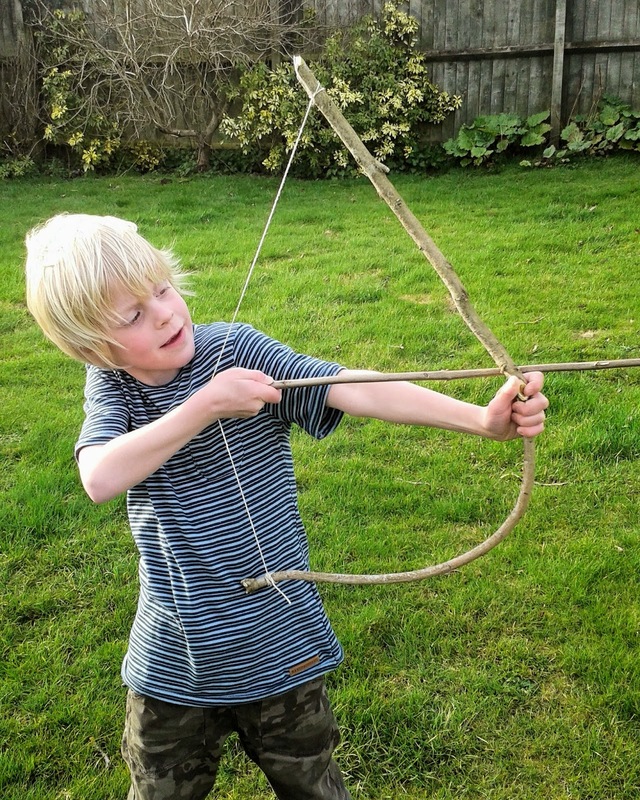 That made school ok.
Quite apart from providing a more fulfilling education, according to research carried out by The Craft Council, studying creative subjects teach transferable skills that all children can take into their adult life. 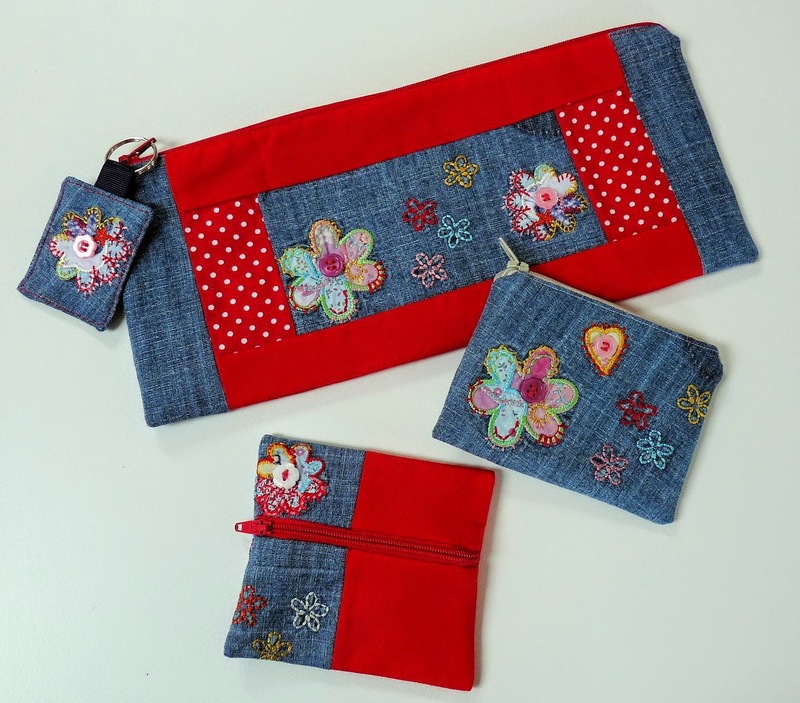 “Learning craft skills has a range of educational benefits: it fosters creative thinking, innovative learning, visual awareness, skills which aid cognitive development, as well as haptic skills (the sense of touch). 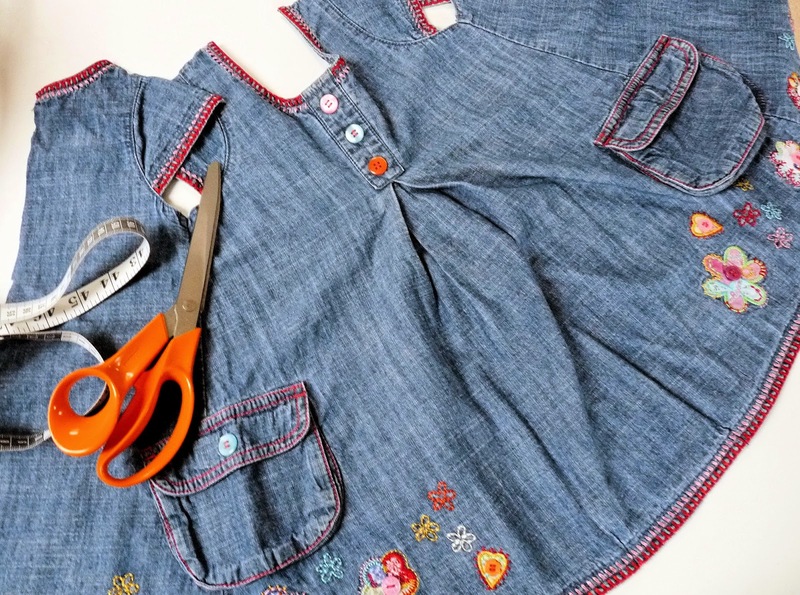 Craft skills also provide children with a firmer grasp of the 3D world, which in turn develops problem solving skills. These are important to all manner of professions, including manufacturing, medicine and software design. “The decline (..in education) sits strangely with the growing popularity of crafts, both in the luxury goods market and at grassroots level…..It’s a sector that makes a contribution to the economy and has the potential to be a much greater export business as well. 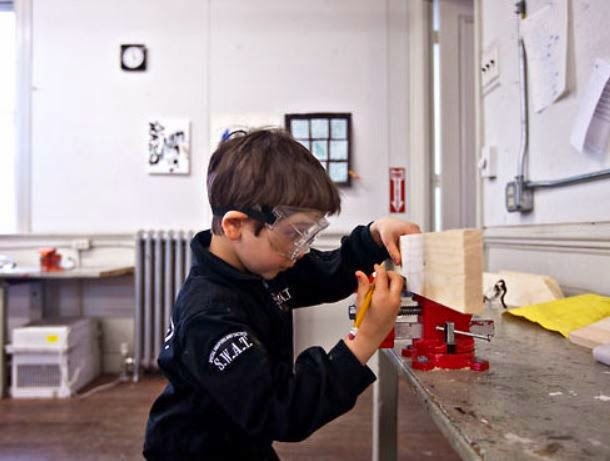 There’s a dissonance between the way craft is perceived by the public and amongst adults, and the way we’re investing in supporting schools to keep that happening. 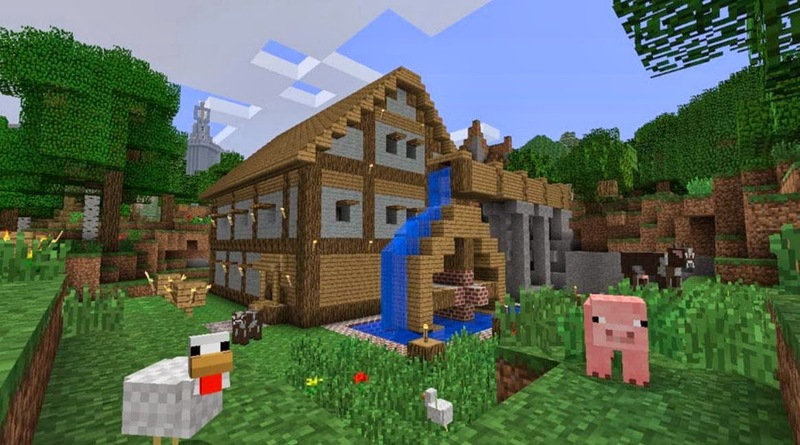 Of course, we do live in a far more digital world now – children, boys especially, are often drawn to building imaginary worlds on an iPad using ‘Minecraft’ instead of using Lego. They race cars on a games console rather than setting up a Scaletrix track and playing with actual cars. I’m not saying the advance in digital disciplines is disastrous and I’m certainly not against progressive change, just that it shouldn’t be at the sacrifice of the 3D , physical world. 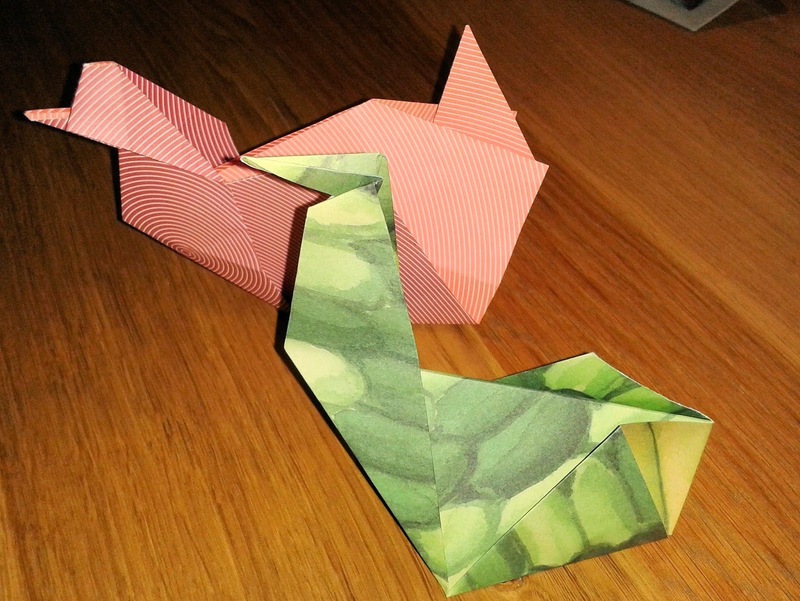 Without a digital context, we are in danger of making crafts ‘uncool’. It is however possible for the two to compliment each other, using technology in the design process whilst still actually ‘making’ using our hands and tools. The Craft Council are working hard to re-introduce crafts into schools with initiatives and partnerships such as Craft Club and ‘Firing-Up’ (encouraging and helping teachers to re-fire dormant kilns in schools and allowing kids to make things from clay) but these are all too often extra-curricular, outside the school day and rely on parent or carer volunteers or teachers putting in extra hours. Unless there is a sudden u-turn on government policy and an injection of cash into arts education funding, it appears that it will become our responsibility to ensure our children lead creative lives. Grey. The perfect colour chameleon. At the risk of sounding like I’m trying to write an article for ‘Country Homes & Interiors’ magazine, I’ve decided that now I’ve had some time to reflect on my latest major creative project – The House – that I should really include a post about it, and what I’ve been trying to achieve. For me, despite my love of being out and about, travelling and holidays, there really is ‘No Place Like Home’ (as Dorothy so rightly told us in ‘The Wizard of Oz’), and whilst we felt settled in our house (surrounded by our furniture, photos and ‘things’) from the moment we moved in, it is not until I’ve made my mark on a place by decorating it that I can really relax and feel that I’ve created ‘our’ home. There was nothing particularly terrible about the way the house was decorated when we moved in. There was no swirly carpet or dodgy wood-chip wallpaper. There was however a great deal of what I labelled ‘nicotine yellow’. Nothing wrong with yellow at all, but this particular shade just felt a bit grubby and dingy, – like stained off-white walls in a working mens club! So, I set about obliterating that nicotine yellow with light, refreshing, calm, airy, wonderful grey. Lots and lots of wonderful grey. I used to hate grey. It always made me think of dodgy grey-marl sweaty sports t-shirts and I would never have imagined a decade ago that I would be living surrounded by so much grey. However, grey now tops the list as the most popular neutral in home decor and I too, have jumped on the bandwagon. ..not because it’s a ‘fashionable’ colour (well, perhaps just a little bit!) but because it’s rise in popularity has led to the creation and availability of a huge variety of shades which I’ve discovered are the perfect backdrop to our home. There have been articles about the rising popularity of grey being linked with more austere times. I’m not convinced. 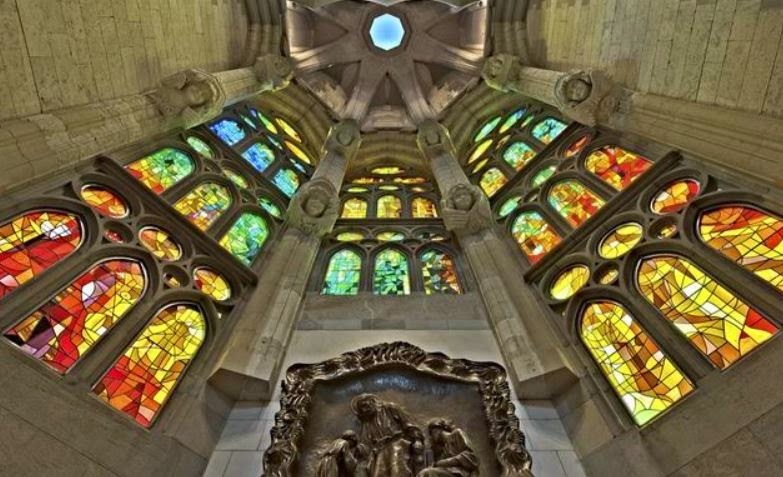 More interesting than white, more modern than beige, I just think that everyone got a bit bored. Grey co-ordinates well with other materials and other colours. It is the perfect colour chameleon. Many shades of grey are what’s known as ‘cusp colours’. “They’re WHAT?” I hear you cry! Well, let me tell you: Our brains store colours under definite groupings. However many grey shades are on the cusp of 2 or more of these groupings, so our brains are unable to store them as an exact memory – you have to keep looking at them to know what colour they are and once you walk away, it is very hard to precisely visualise it again. This is why I love them. They look different in different light and their complexity and depth means that even though ‘everyone else is doing it’, it is possible to pick one that feels unique and will work well in any home, whether modern or classic. For the greys in our new home, I turned to my trusted paint supplier, Little Greene – an Independent British Paint Manufacturer. I first came across Little Greene when I was researching products for painting kitchen cabinets in our old house. I uncovered the website Tradition Painter which features advice from painters and decorators about hand painting furniture and kitchen cabinets. One of their decorators, Andy Crichton wrote an interesting piece about ‘designer paints’. The outcome of which was a recommendation for Little Greene ‘Traditional Oil Based Eggshell’. I bought some. I was converted. One of the great things I like about these paints is the very matt, chalky finish. The oil-based eggshell has a very (very) low sheen which means that the imperfections in old woodwork trim (dents in the skirting boards, layers of old paint – chipped off but impossible to sand back) are not quite so glaringly obvious. Of course, I could have spent hours and hours sanding out these imperfections, or replaced old woodwork with new but, aside from the fact that life is too short for all that faff, I quite like these marks of character in an old house. They hint at it’s history. They tell it’s story. So, now I’ve revealed my obsession with grey paint, here’s a little bit about the rooms that I’ve decorated with grey. (Get me and the little montage mood boards I’ve put together – not very professional but I tried!). The hall, stairs and landing are painted in ‘Pearl Colour’, with woodwork in ‘Pearl Colour Pale’. Pearl Colour was created in association with English Heritage as a traditional Georgian shade, so perfect for our Georgian farmhouse. It took me nearly 6 weeks to complete the project, but whilst I got very bored of the painting, I never once tired of the shade, which changes from cool grey to grey-blue to grey-green as the light moves around the house during the day . I love it! 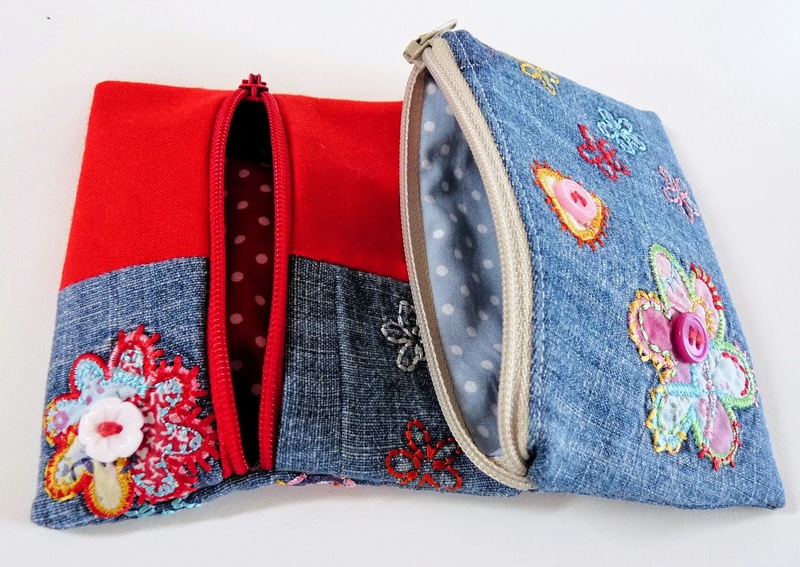 Oh, and I did have time to dust off the sewing machine whilst working on this project. Old doors = Draughts. So, I made a coordinating draught-excluder for our big old front door, with a handy handle to hang it on the hallway coat hooks when not in use. For our family room I wanted to create a cosy space for use in the colder months of the year. The room has a toasty log burner and chunky dark stained ceiling beam. I wasn’t too keen on the exposed brick work surrounding the fireplace, but decided to embrace it and go for a rustic, warm scheme combining the shades of our solid stripped pine furniture, with chunky knit throws, faux fur cushions and checked fabric. Again, I found time for some sewing and made the window seat cushion in a lovely 100% wool from British fabric manufacturer, Alfred Moon, in their grape Balmoral check. With hints of mauve and lilac, French Grey emulsion paint on the walls again provided the perfect neutral background. So there we have it. My slightly pretentious post about interior design! I still have 3 more rooms to go, which will undoubtedly feature some grey shades here and there, but with the majority completed, I do feel that I’ve done it. I’ve created our home. What the Blog’s it all about? Coming back to my blog after a few months away from it, I’ve been reminded, despite my initial self-consciousness in starting it, how much I actually now enjoy it. I’ve been tweaking the layout and updating the content….learning how to add things, editing my photographs..and in doing so I’ve realised that the whole blogging ‘thing’ is a creative process in itself. If you are a blogger yourself, this post will be a little irrelevant, because you’re probably hooked already, but I thought I’d write a little about why I’ve (proudly) become something of a ‘blog addict’. Before I got involved in blogging, I, perhaps rather cynically, thought it a somewhat self-indulgent outlet for people who have too much time on their hands. Essentially nothing more than an elongated Facebook Status Update?! But, NO! How wrong and quick to judge I was. 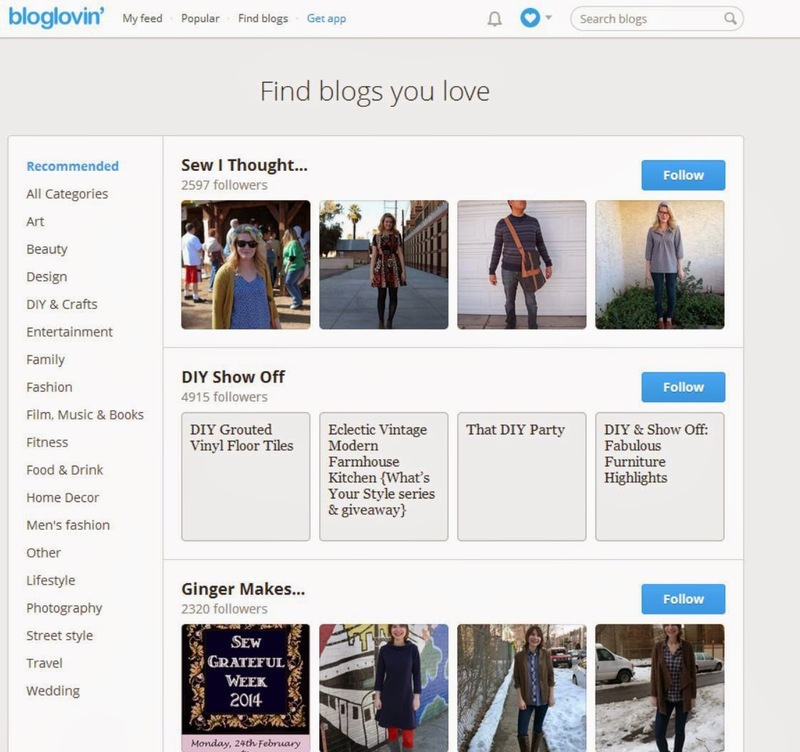 Delve inside the world of blogs and bloggers and you can discover a treasure trove of information, inspiration, and fascinating opinion. 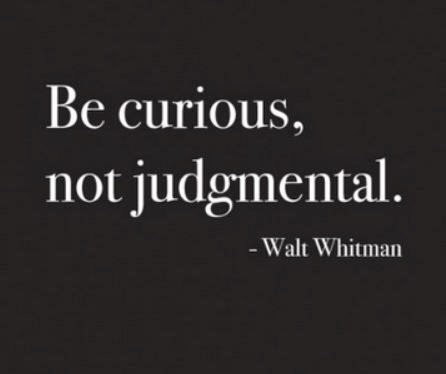 Parenting, lifestyle, beauty, sport, DIY, culture, cars, gardening, technology, travel, health, trainspotting (YES! trainspotting) You name it, there will be loads of blogs on the topic. Some are better than others. Many are very very funny (except perhaps the trainspotting ones…I doubt they’re very funny…sorry Trainspotters!) Only today a friend shared a blog post on Facebook from Hurrah For Gin …LOVE the name… which had me ‘laughing out loud’…(can’t bring myself to use the acronym ‘LOL’). The word ‘Blog’ comes from the term ‘Web Log’, basically a term for an online journal or diary. 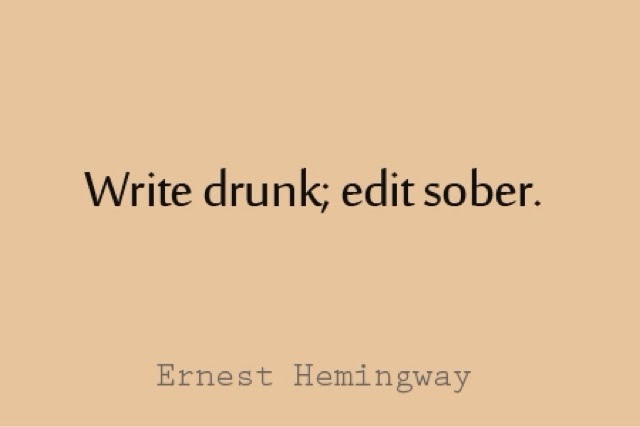 But many people in the blogging community generously share tutorials and advice on how to make and do things too. I often find myself turning to other blogs for advice on how to add something to my own. 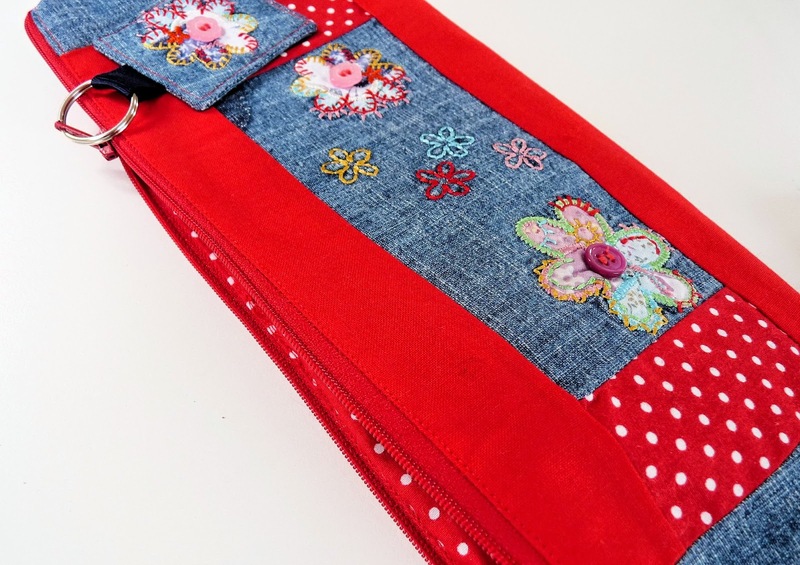 Pam at DIY Design Fanatic, for example came to the rescue when I found this post about how to add social media buttons, and when I try my hand at new skills, my first port of call is now always a blog. (Saving money on books and magazines until I know it’s something that I’d like to take further). The wonderful ‘Bloglovin’ is a site where you can follow all your favorite blogs (yes, this blog is on it too!!) in one place and find new, interesting pages to look at. You choose the blogs you want to follow and then receive a personalised feed of posts from those pages. It will also suggest blogs of interest based on those you’re already following. Obviously it favors the popular ‘big players’ with relative newcomers like me only getting a look in if you actually know the name to search for, but nonetheless we all have to start somewhere. So, if you’re new to the whole concept of blogging, or have always dismissed it as I once did…then why not say to yourself “Hey, you know what? I’m going to throw aside my preconceived opinions and ideas and try something new today”…Get yourself over to ‘Bloglovin, browse some topics that tickle your fancy (yes, that is ‘fancy’…had to be careful of typos there otherwise I might be getting myself a whole different kind of readership!!) and you might just find someone who has something interesting to say…Oh, and be sure to follow me, Binkle & Bungo too!